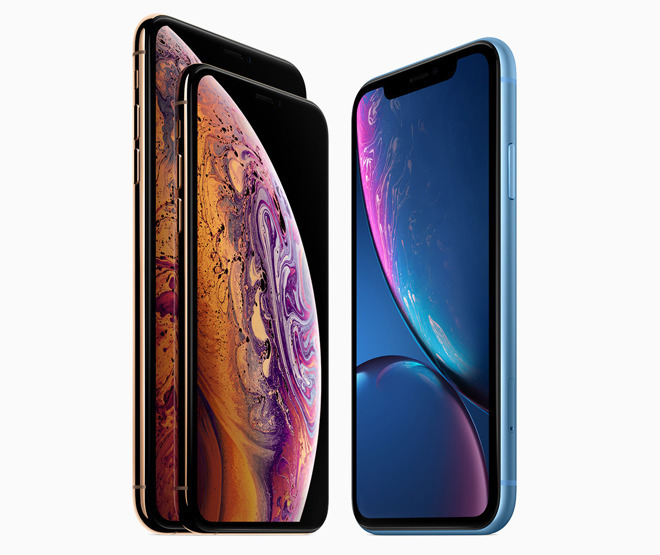 After the release of the iPhone XS and iPhone XS Max, and ahead of the upcoming opening of preorders for the iPhone XR, Apple's suppliers can usually expect a high number of orders in anticipation of the holiday shopping season. This apparently hasn't stopped suppliers from exercising caution over the imminent introduction of a lower-cost model. Industry sources of DigiTimes suggest that if sales of the iPhone XR fail to stimulate overall demand for iPhones, Apple could slow down its pace of orders from suppliers, in turn damaging revenue. Suppliers are already expecting to post weak sales in the fourth quarter of 2018 the report claims, with TSMC thought to generate "lower-than-expected revenues" in the fourth quarter, potentially forcing the chip foundry to revise its sales guidance for all of 2018 to a lower level. In the case of Apple camera lens supplier Largan Precision, the company recently disclosed its shipments are expected to decrease in October, followed by another drop in November, similar to what happened at the end of 2017. The projected level of orders in December is "still unclear" for the lens firm. It is also believed the ongoing trade war between the United States and China will impact overall smartphone demand, with shipments in the fourth quarter of 2018 already said to be decelerating. At present, it isn't clear why the alarm from the component manufacturers is happening. At first glance, the order drops do not appear to be any more pronounced than in previous years, with normal seasonal decreases in orders. The supply chain report seems to go against statements made by analyst Ming-Chi Kuo predicting higher-than-anticipated demand for the iPhone XR, with Apple expected to have about 38 million units ready in time for holiday sales. The strong demand leads Kuo to believe the model will defeat a "low seasonality" after the holiday quarter, with a 30 percent drop in sales in the new year rather than a near 50-percent drop saw by the iPhone 8. Kuo also changed his estimated overall iPhone shipments for the quarter from 80 million to 83 million. Before the iPhone XS and iPhone XR release, DigiTimes Research anticipated shipments for the quarter of over 85 million units.